Hey Sears: I passed your East 79th Street store a few days ago. From the front, I couldn&apos;t tell if the store was open or closed--not good for a retailer getting its clocked cleaned by the big-box behemoth from Bentonville. 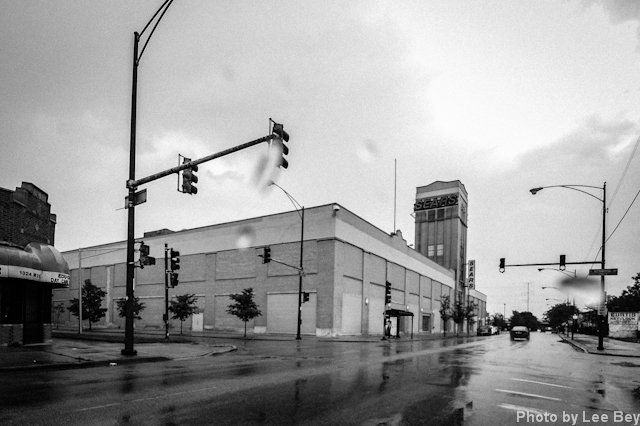 Built in 1928 with a tower that can be seen for blocks, the 79th Street building is one of Sears&apos; oldest free standing stores. It is very much open. And it used to look the part. Sears&apos; own website described the store as originally having "lots of windows for light and ventilation." Not anymore. With two-stories of bricked-over shop windows on two major unadorned elevations, the store looks like an unfriendly neighbor with shades pulled. Again, not good. It&apos;s a recurring theme with Sears older stores. These places--much like the company itself--need a makeover. 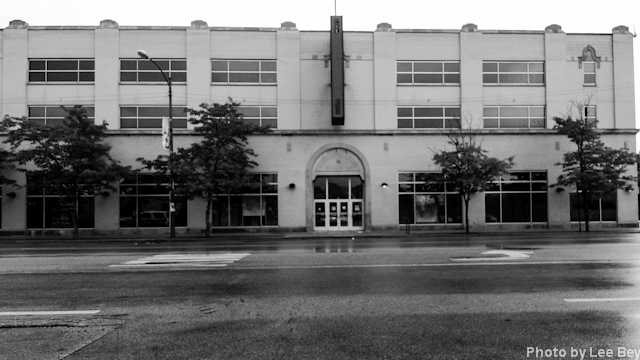 Take a look at the Sears store on 62nd and Western in the photo below. Still a good-looking building with a hint of Renaissance Revival styling, but the display windows are covered in faux and mirrored glass, making the street front lifeless. 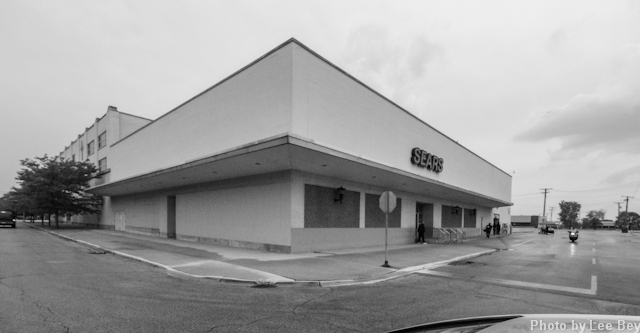 The back of the store faces a big parking lot, so the retailer--probably in the 1960s or early 1970s--added this suburban mall-like carbuncle as a rear entrance. As with the 79th Street store and the one of Harlem and North Avenue, this rear entrance becomes the defacto main entrance, thus making the rear the "front" of the store and turning the historic front--where pedestrian life and window shopping should be encouraged--into the back of the box. 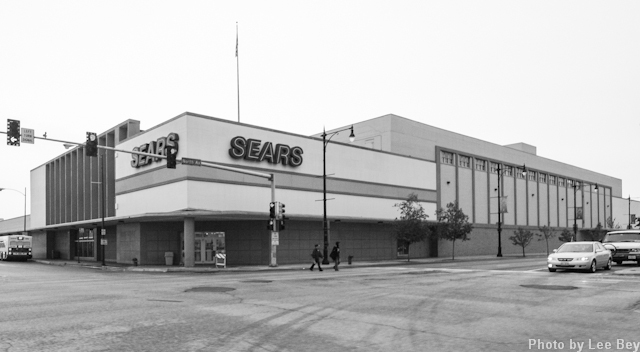 Built in 1953, this Sears at Harlem and North in the photo below is better-looking in that it was likely designed with fewer windows than its older counterparts. But the front of the store looks lifeless on a Saturday afternoon. What&apos;s new? What&apos;s for sale? The outside of the store is mum, saying nothing to the thousands of drivers and pedestrians who pass the corner each day. The former retail powerhouse has a ton of issues of solve, as Crain&apos;s Chicago Business smartly reported last month. But here hoping the chain begins by enlivening its classic stores, reopening the facades with big display windows and bringing back the Big Store magic to neighborhood commercial streets...and to itself.